3 Replacements For Sensational European Ace At Manchester United Including This Leicester City Star! Manchester United are set to miss out on AFC Ajax wonderkid Justin Kluivert this summer. According to recent reports, AS Roma are currently leading the race to snap up the Dutch starlet when the transfer window opens in the summer. The son of Dutch legend Patrick Kluivert has lit up the Dutch Eredivisie with some eye-catching displays at the Johan Cruijff Arena during the course of this campaign. The Eredivisie ace has made 36 appearances for the Dutch giants this term, scoring 11 goals while providing 5 assists in all competitions. Some sources have recently claimed that Roma are ready to hijack United’s attempt to sign the player. 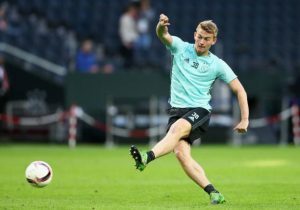 His current contract with Ajax is set to expire in the summer of 2019 and negotiations over a potential new deal is dragging on. Hence, it could pave the way for him to make a move out of the Dutch capital this summer. With the Red Devils set to miss out on Justin Kluivert, let’s take a look at three potential options for the Reds of Manchester to consider in this upcoming summer transfer window. The Leicester City playmaker might be the most realistic option for the Red Devils right now and his statistics this season has been impressive, to say the least. The Algerian international has scored 12 goals and made 11 assists in 40 appearances for the Foxes this season. He will definitely be an ideal fit to play under Jose Mourinho and if United opts for his services this summer, they will be getting a proven player who knows what it takes to win major honours as evidenced by his incredible title-winning season at the King Power Stadium, a few years ago. The Bayer 04 Leverkusen wide man has enjoyed a rich vein of form for his club during the course of this season and has lit up the Bundesliga with some scintillating displays so far. The 20-year-old Jamaican starlet has found the back of the net 12 times while creating 6 assists in 33 matches for the German outfit this term across all competitions. Bailey has all the makings of a future star in world football and Mourinho’s team can look to capitalise on his potential by sealing a move for him in the summer. Read More: Manchester United Ready To Offer Two Stars For Neymar: Should They Go Ahead With The Deal? The 19-year-old Borussia Dortmund player can be considered as one of the best young prospects in European football and United would do well to bring him to Old Trafford. The American youngster is highly talented and has immense potential which is exactly what the Red Devils are looking for, as they look towards building a bigger and brighter future at Manchester. Pulisic has scored 5 goals and made 7 assist in 41 appearances for the Bundesliga club this season. 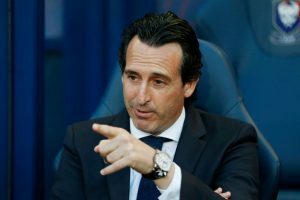 Wolves Plotting Shock Move For This Sensational PSG Defensive Ace: Is He Worth The Fuss? Manchester United Lining Up A Move For 25 Y/O Brazilian Keeper: Right Fit For Mourinho’s Plans? Tottenham Hotspur Face Setback In Pursuit Of Eredivisie Defender: 3 Replacements Including This PL Ace! Barcelona To Make A Move For 21 Y/O Dutch Midfielder: Good Fit Into Valverde’s System? Tottenham Hotspur Handed Big Boost In Pursuit Of This Midfielder: The Right Choice For Spurs? Leeds United Closing In On 18 Y/O Dutch Starlet: Where Will He Fit Into Christensen’s Plans?